Coloring Book and Crayon Set: A Fun Pack! Make it Easy with the coloring book conveniently packaged with a 4-pack of crayons in a sealed poly bag. No assembly required. 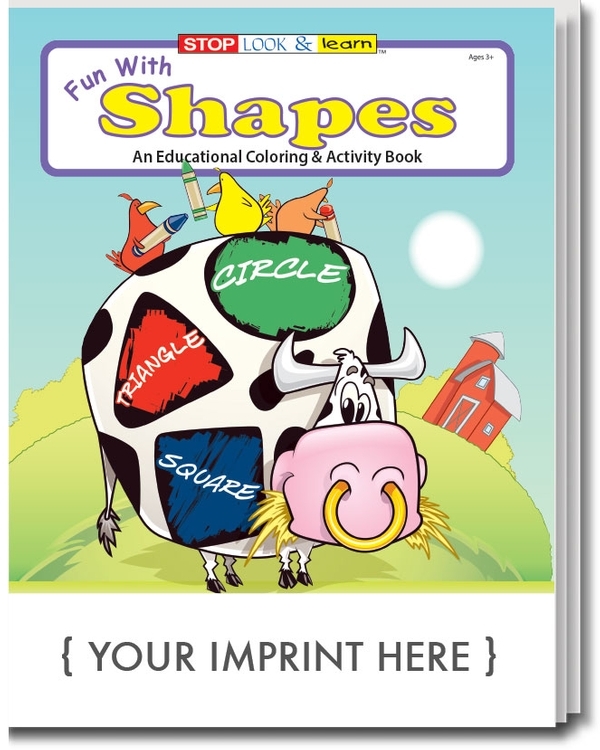 The Fun With Shapes coloring and activity book is a hit with the kids, with its fun colors and goofy animal characters. Kids use these animal friends to learn different shapes. The educational book features a full color cover and 16 pages of coloring and learning. Recommended for children ages 3 and up. This product is also ideal for schools, libraries, and day care centers.